In my current project we have the hide a position in a hierarchy, because it is a departmental requirement. The hierarchy is used by many departments so we cannot change it and we also don't want to have the same hierarchy two times (except for the one position). So we first excluded the position in the query. It is done, the newest edtion of Analysis Office - The Comprehensive Guide is available. It took me this time a little bit longer to update it. There are several reasons like my project workload or the the private stuff which make it sometimes difficult to write on a book and tests functions in peace without noise. You can now find it in the store and here is the table of content. It covers Analysis Office 2.7 SP3 and contains 299 Pages. It is only available as PDF but it is as always DRM free. Also is the 3rd edition now available on amazon. It is as always a bugfixing Service Pack and I don't see any new functions. If you find one, just write it to the comments. Just little notice, my book Analysis Office - The Comprehensive Guide 4th edtion with Analysis Office 2.7 is almost ready for proofreading and so stay tuned. It is a little late for Analysis Office 2.7 SP2 but SAP just delivered Patch 1 so I can write a short note about it. Finaly SAP give you the option to Create a Web Application in Lumira Designer. But if you installed SAP Design Studio an SAP Lumira Designer, it always opens Design Studio. Analysis Office doesn't care if you first install Lumira or Design Studio. Design Studio always wins. At the moment there is no setting like the DefaultBWQueryDesigner for the old BEx Query Designer or the new Eclipse Query Designer. Patch 1 also fixes some little bugs. I think it is nothing spectacular but it is maintenance. When I have more time, I will look deeper into Analysis Office 2.7 SP2 and write a short overview. In my project I have now the opportunity to build SAP HANA Calculation Views. 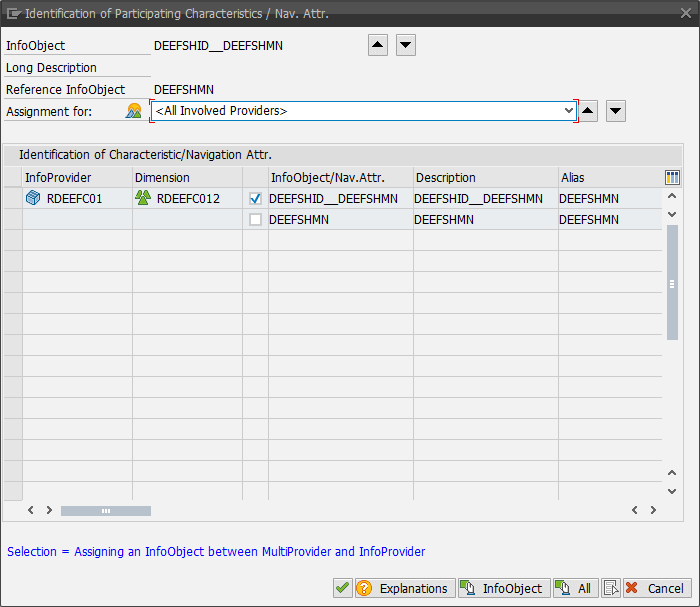 We use Calculation Views to combine two different Advanced DataStore Objects. First you have to set the parameter External HANA View in the setting of your ADSO. 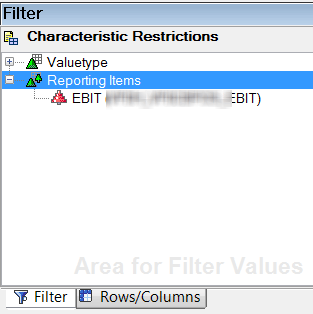 When you activate this setting a SAP HANA Table is created which you can use in a Calculation View. 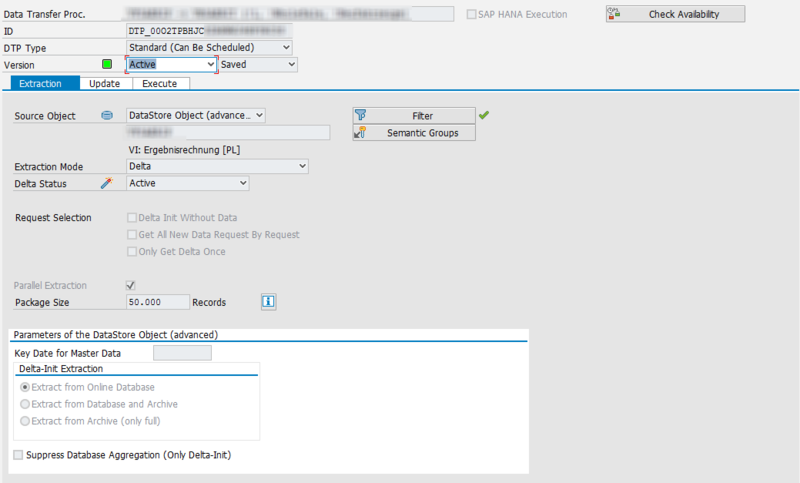 There is a new formula called SAPSelectMember. The formula returns a member of a dimension, this might be interressting for VBA. You can now save comments to BW/4HANA. The history of these comments is available in the new tab Comments in the design panel and you can now select the preffered platform for your comments. Either BW/4HANA or BI platform. You now can use Planning Data with SAP Analytics Could models. You can now copy Table Design from one Crosstab to another. This is really cool. The admin guide has 20 new pages to the Analysis Office 2.6 guide. The settings chapter is new organized and in my opinion a little bit better organized than before. Also new is the topic how to use the BI Platform with hyperlinks and variables like the old BI Portal. This is described in section 5.9.4 in the admin guide.